For many, the announcement of the Nintendo 2DS was a mixture of disbelief and amusement. Indeed, many believed it to be a hoax. However, after confirmation by many sources, including Nintendo itself, the "Nintendo 2DS" has come under a tremendous amount of fire (and praise) by fans and detractors alike, and for good reason. What is the "Nintendo 2DS?" For those who are unclear, the "Nintendo 2DS" is a cheaper, entry-level version of the much acclaimed but controversial "Nintendo 3DS" handheld gaming device which was lanuched in 2011. 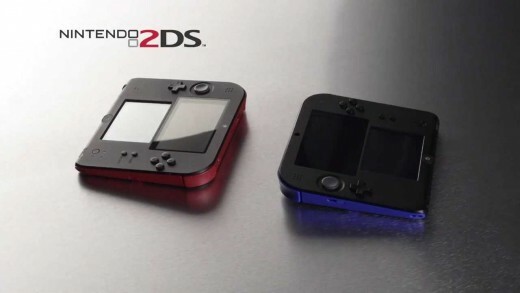 The "2DS" is identical to the "3DS" in every way, barring the fact that the "3DS's" stereoscopic 3D feature is removed, as well as the new slab design which replaces the clamshell design of the original "3DS." This means the "Nintendo 2DS" WILL play ALL "Nintendo 3DS" games, both those already released and those upcoming, just without the stereoscopic 3D option. 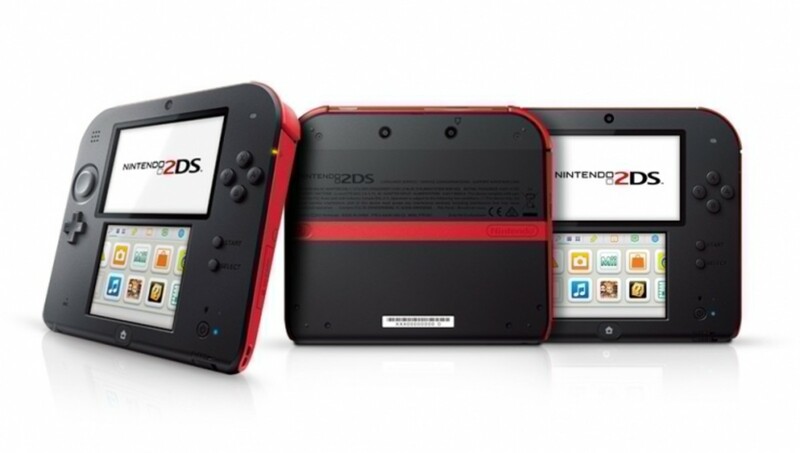 The "Nintendo 2DS" is expected to retail at $129.99 in the US and £110 in Europe, launching on October 12. With all the confusion about the new device, and the divided responses across the internet and beyond, it may be good to take a step back and look at the "2DS" for all its flaws and benefits, before coming to a conclusion, as well as try to understand the rationale behind the existence Nintendo’s seemingly strange surprising new device. Pros of the "Nintendo 2DS"
Let’s start with the best thing going for this handheld right now: the price. Launching at $129.99 in the US and £110 in Europe, a full $40 (or £35 in Europe) cheaper than the lowest end "Nintendo 3DS" system, the price is a major selling point. It is also a full $70 (and £70 in Eurpoe) cheaper than Sony’s competing handheld, the "Playstation Vita." In other words, the "Nintendo 2DS" will be the cheapest gaming handheld on the market when it is launched, but will have all the power of the massively successful "3DS" (which has been greatly outselling the Playstation Vita) behind it. The pros here are obvious. For anyone on the fence about buying a "Nintendo 3DS," this handheld may sway them due to its low cost. Similarly, parents, grandparents and family members looking for a gift for their child will easily gravitate to it, as it is cheap and powerful. The "3DS" met with problems due to its controversial stereoscopic 3D feature which was said to cause nausea especially to young children. A such Nintendo directly stated it was for ages seven and up only. This meant a large portion of the original "Nintendo DS’s" buyer base were left out in the cold. Parents were also reluctant to buy the "3DS" due to the damage the stereoscopic 3D (which could be turned off) might cause to their child's eyes. With those features removed from the "2DS" entirely, parents will be more likely to purchase the device for children of all ages, meaning sales for the "2DS" could skyrocket in the holiday season. As stated before, the "Nintendo 2DS" plays all "3DS" games, both old and new. 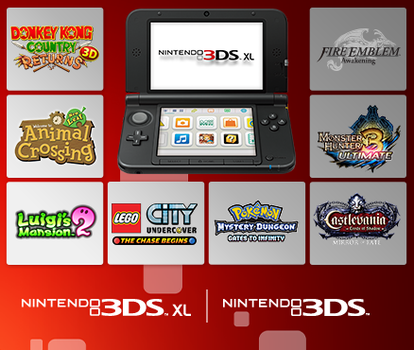 With the massive line-up of great "3DS" games, "2DS" owners will have a large library to play from day one. This will entice people to not only pick up the "2DS," but also a large number of Nintendo games, leading to greater profits. Another of the "Nintendo 2DS’s" biggest announcements was the fact that it would be launching on the same day as "Pokémon X and Pokémon Y": October 12. Those who do not follow Nintendo news or games, or do not know what a massive deal a new Pokémon game is, may not realize what a tremendously smart move this is. "Pokémon X and Y" are Nintendo’s newest two additions to the Pokémon franchise, developed by Game Freak and published by Nintendo for the "Nintendo 3DS" (and as such will be playable on the "2DS"). 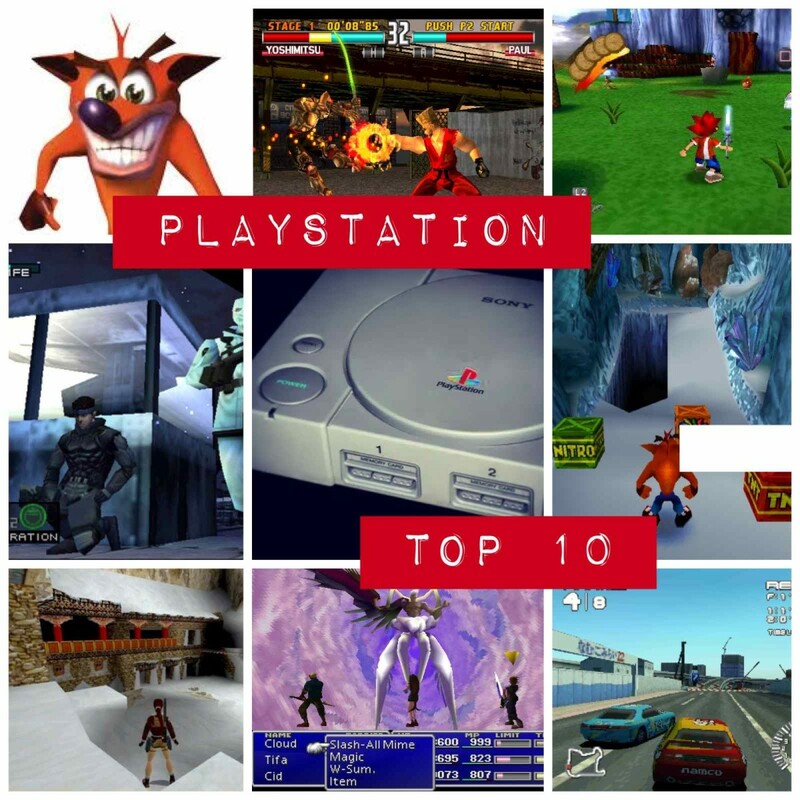 They are also the first in the handheld main series of games to be in completely rendered in polygonal 3D graphics. They also sport entirely new Pokémon and many other new features, making these new games hugely popular among younger audiences, Nintendo fans and Pokémon fans alike. The reception for the game has been overwhelmingly popular, and as such it is expected to be a huge success. 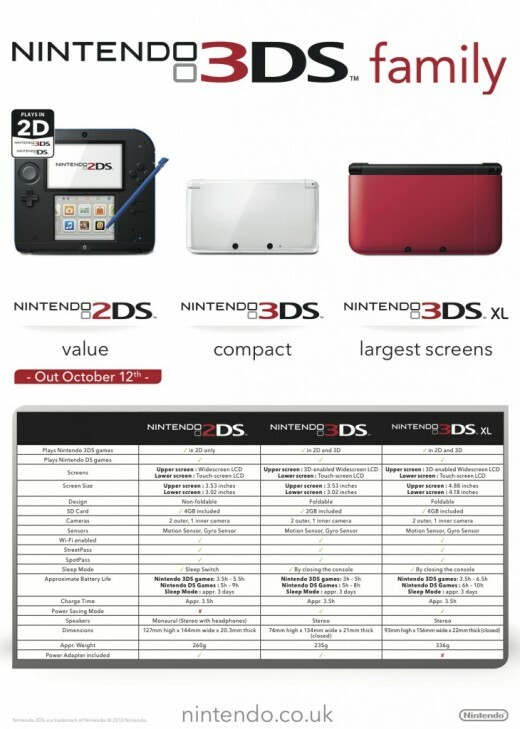 Couple that with the "2DS" being released on the same day and the potential to sell many "2DS" units is extremely high. Once again, those on the fence will see this as a great opportunity to get a great handheld device and a great game, and parents and grandparents will see it as a great value for a popular game that their children (of any age) will enjoy. This may be the greatest reason the "2DS" may sell well outside of the price. The "Nintendo 3DS" is, as stated before, the biggest selling dedicated handheld gaming device on the market, having sold over 30 million units worldwide, dwarfing the "Playstation Vita," which has sold only about 5 million units worldwide. With this in mind, a cheaper version of the "3DS" with the same features is likely to sell even better than the original. Riding on the success of the "3DS," the "2DS" is very likely to become successful, especially considering the fact that it is appealing to a larger audience which includes children and casual gamers, a market the "Playstation Vita" as yet to tap. Further, with the competition of smartphones and tablets as gaming devices, the cheaper price of the "2DS" coupled with the good reputation of the "3DS" it is based on is potentially the edge it needs to come out on top. 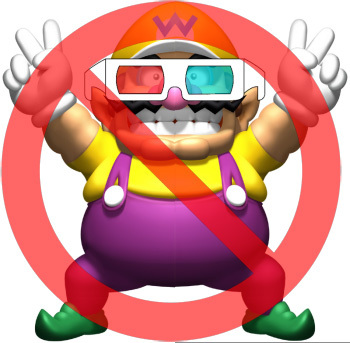 As stated before, the stereoscopic 3D function was a major problem for the "3DS." This made it sell less than expected, and many gravitated away from it due to either a lack of understanding of how the stereoscopic 3D would work, or a fear that it would harm their children. Without that fear accompanying it, the "2DS" may very well sell to those who disliked the 3D aspect of the "3DS," making this another smart move. The "Nintendo 3DS" has a clamshell design, meaning the top half connects to the bottom with hinges and it can be closed and opened to hide the screen. Though this is a good design and practical for protecting the screen and increasing the portability of the device, it comes with some issues, especially for children. The hinges can break through wear and force, and with children who may sometimes be irresponsible, this can be a big problem. Even among older audiences, the hinge can break or become damaged in a number of ways, necessitating a costly repair or replacement. The "Nintendo 2DS" removes this issue entirely, pushing the idea that this new device is targeted toward children. It appears safe and reliable, though with the risk that the constantly exposed screen will be vulnerable. Reputable gaming sites like Kotaku and IGN have stated that the "2DS’s" design feels sturdy and comfortable, more comfortable than the "3DS" in fact, which is a godsend for both children who can be careless, and adults with larger hands that made holding the "3DS" uncomfortable. 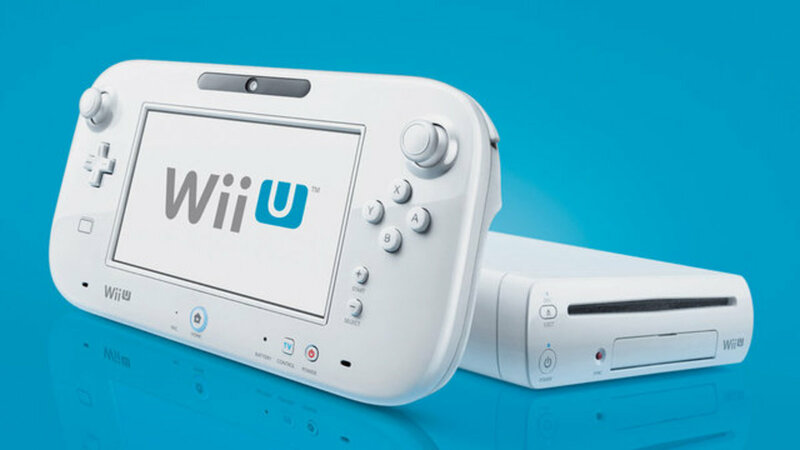 It is no secret that Nintendo’s next generation console, the "Wii U," has been suffering from terrible sales. This has likely lead to major losses for Nintendo, and the admittedly great sales of the "3DS" may not be enough to cover them. 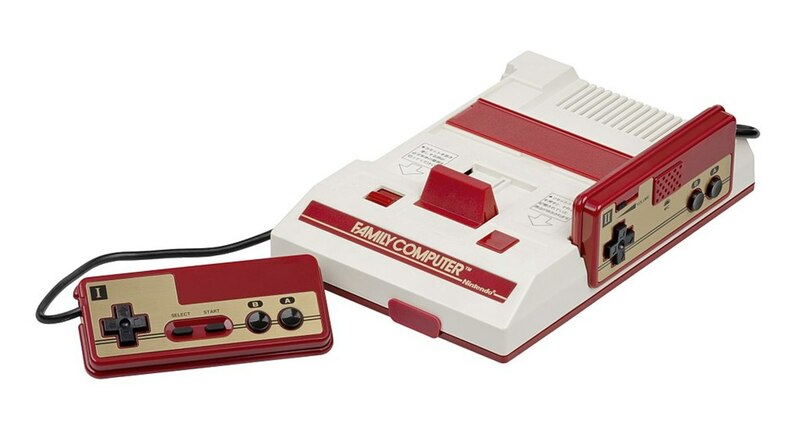 With this new device, if it sells well, especially to casual gamers and children, it could help Nintendo recoup their losses and hopefully make a comeback in the home console market, especially faced with the stiff competition of the upcoming Playstation 4 and Xbox One. 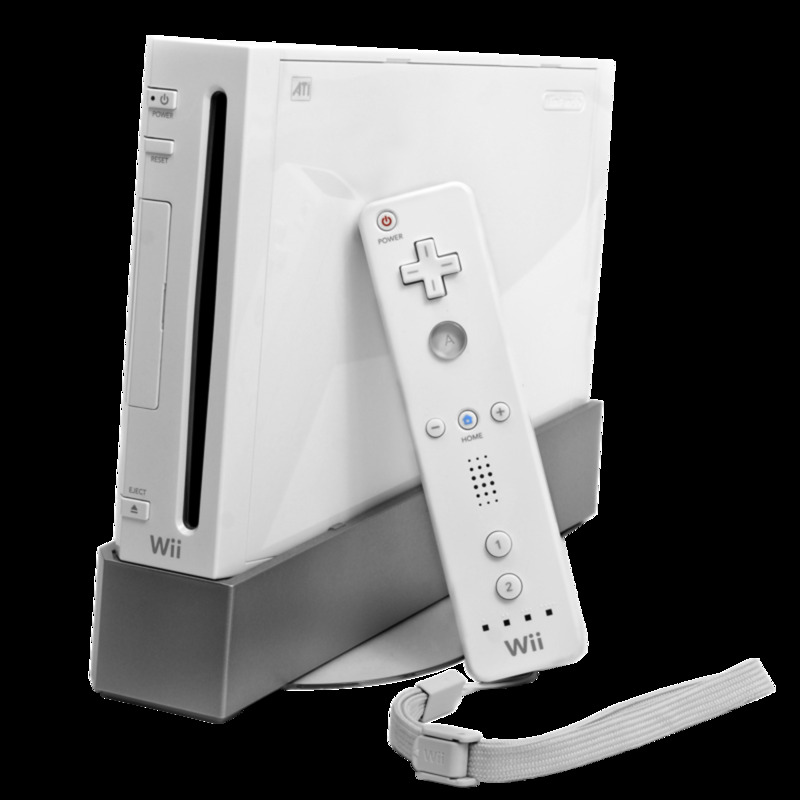 Cons of the "Nintendo 2DS"
The announcement of the "Nintendo 2DS" rings close to that of the "Nintendo Wii U," especially in one major factor: the name. This is not just an issue of nomenclature, but of advertising. 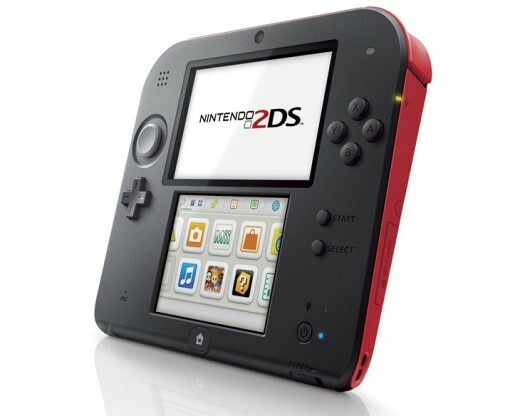 The “2DS” moniker is very likely to cause confusion and problems. Consider the average gamer or parent who does not follow gaming news. This individual goes to the store to pick up a "2DS" for their child, as well as some games. However, when they look at the games, they only see games for the "Nintendo 3DS." “Where are the 2DS games?” They might ask, and as a result, they might not buy the 2DS. This issue is very similar to the "Wii U," where even today, people still believe the "Wii U" is only an accessory for the Original Wii console, rather than an actual next gen console. This is simply a matter of advertising, however, and can be solved if Nintendo aggressively advertises the "2DS" for what it is, getting the word out as clearly as possible to as many potential buyers as possible, otherwise, the "2DS" may go the same direction as the "Wii U." 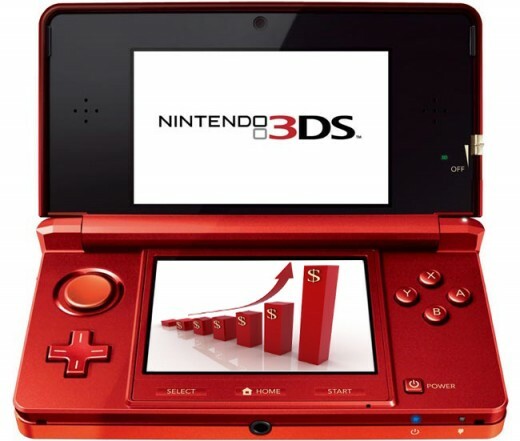 The stereoscopic 3D aspect of the "3DS" was a major selling point of the system, seen by many as an integral part. Though the stereoscopic 3D option can be turned off, many games which benefited from it may seem lesser on the "2DS" system. This, however, is a minor issue, as the stereoscopic 3D on the "3DS" was difficult to utilize on a handheld as it required the system to be held perfectly steady to be viewed properly, with movement potentially leading to nausea. As a result, many played "3DS" games with the feature off anyway. 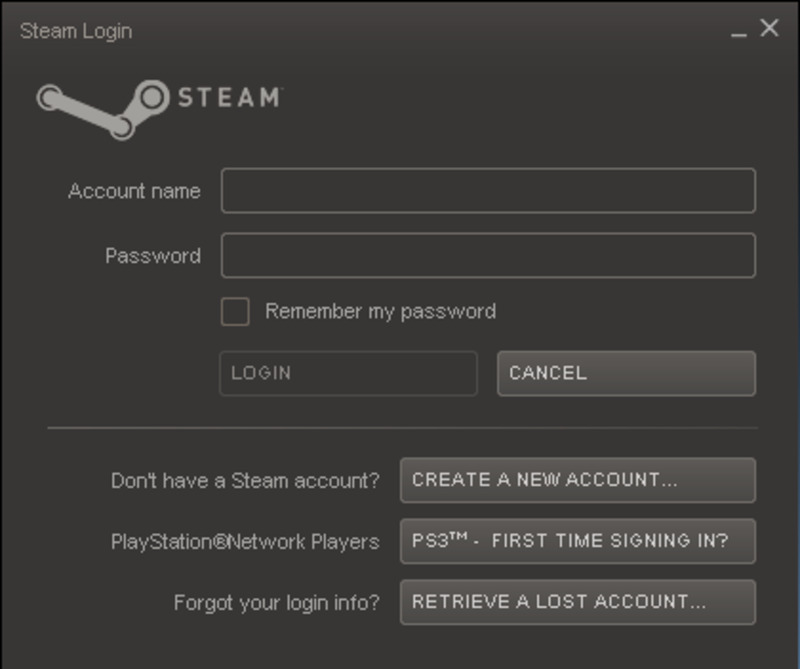 That being said, the option being removed may be an issue for some, and may turn them off the device. No significant improvement to formula. The largest issue many have had with the "2DS's" announcement was the fact that it resembles Nintendo’s previous attempts at entry level versions of gaming systems such as the "Game Boy Micro," which sold poorly. The belief is that people would rather buy the original "3DS" and gain all the features rather than buy a “gimped” version. This is a shallow way of looking at the "2DS," however, as the "2DS" is not gimped. Aside from stereoscopic 3D, it provides all the features of the 3DS for a lower price, meaning it is far more likely to succeed. Similarly, unlike the significant improvement the "Nintendo DSi" was over the original "Nintendo DS," the "2DS" has no extra features or improvements apart from physical design, and indeed is seen by many as a regression. A second analog stick or better speakers might have been good improvements, but would have likely driven up the price. Many have made jokes that the "3DS" can be made into a "2DS" by turning off the stereoscopic 3D of the "3DS" and laying it flat, which, again, is a rather shallow understanding of why the "2DS" way made. It does, however help to highlight the issues of public perception the "2DS" needs to overcome in order to be accepted. All that being said, with the lower price point and child-friendly nature of the "2DS," it is likely to succeed regardless. 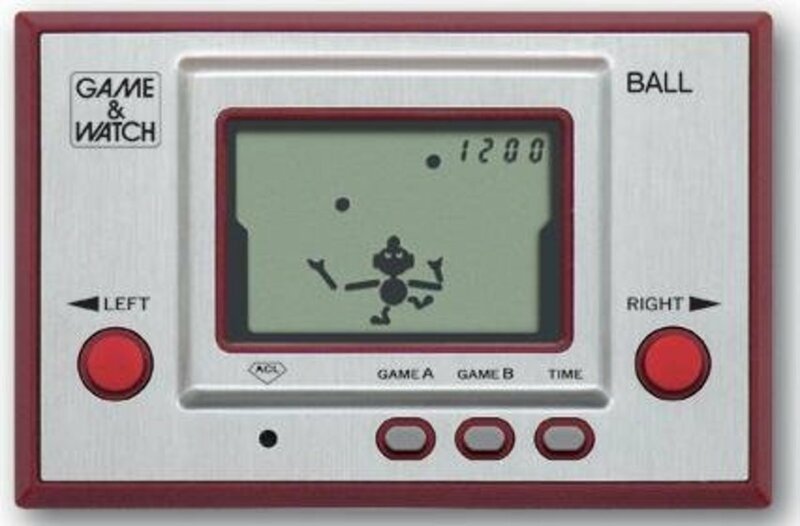 For whatever one thinks of the "Nintendo 2DS," it cannot be denied that there is logic behind its creation. As for whether or not it will do well is anyone's guess, but if marketed well, it has much potential to soar, perhaps even above it's brother handheld, the "3DS." 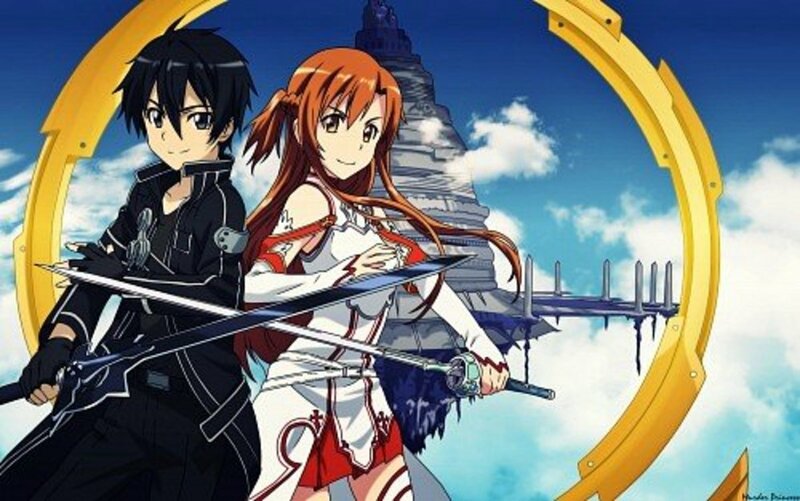 Time will tell, but until then what are your thoughts on this new device? Do you think it has the potential to sell? Most importantly, will you be picking one up with the some of great selection of 3DS games, or do you already own a 3DS and see this device as redundant? Hopefully, whether this becomes a niche product or not, it will stimulate the gaming market and help Nintendo produce more of the excellent games it is know for. It was a wise decision by Nintendo. When the 3ds came out my mother tried it and felt like the 3D feature would cause harm as it bugged her eyes. I wasn't allowed to get one and with the announcement of Pokemon X&Y I was freaking out trying to get my hands on the console. The 2ds convinced my mom to get me the console and the game because 1) The 3d feature was removed 2)You could buy the console and the game for a similar amount to the 3ds alone. I'm grown now so I considered buying the New 3ds with Sun and Moon but I genuinely enjoy my 2ds as it's comfortable to use. I just bought Pokemon Sun and decided to stick with my 2ds. The only problem I have is the lack of ability to carry around but concidering the 3ds XL is also extremely big and may have issue carrying around, I can say the 2ds was worth every penny and was definitely a smart move by Nintendo otherwise me (and probably many others) wouldn't have been able to play 3ds games until later on in life. I wouldn't have played XY or ORAS until the release of Sun and Moon so the 2ds saved me from a horribly long wait! I really love the 2ds. I just recently got one...and I haven't had a nintendo console since n64. I have held a 3ds before and while the games where always interesting...namely the rpgs...I hated the 3ds flip flop design. I also hated the 3d gimmick and that's all it ever was... a gimmick. The 2ds provides me a better design no gimmick cheap price and it doesn't hurt my hands to hold. Seriously this is the first handheld that I can play for any length of time without being uncomfortable. I think this is the best thing nintendo has done in a long long time. All in all, a pretty cool handheld, though. I agree that the whole Stereoscopic 3D definitely hurt sales more than most people realise. That's ridiculous, your argument is flawed and not well explained. The 2ds feels in every sense like just another ploy for money from Nintendo. Oh, don't like that mean old 3D that was the reason for making the first model in the first place? Ok, we'll make another one. And for being such good sports, we''l knock $40 off. Where's the logic in that?